Create effortless style with this pretty top. 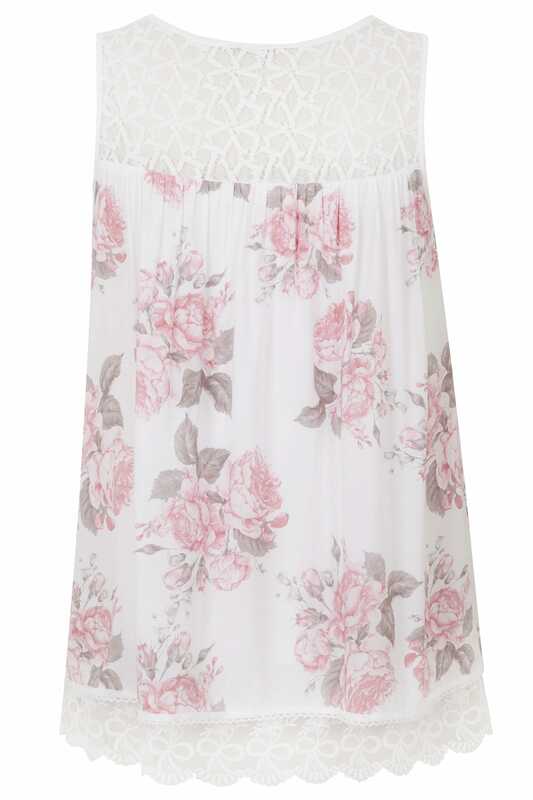 Lightweight and easy-to-wear, it features lace detailing across the back, shoulders and hem. Team with light washed denim and flats for daytime appeal. 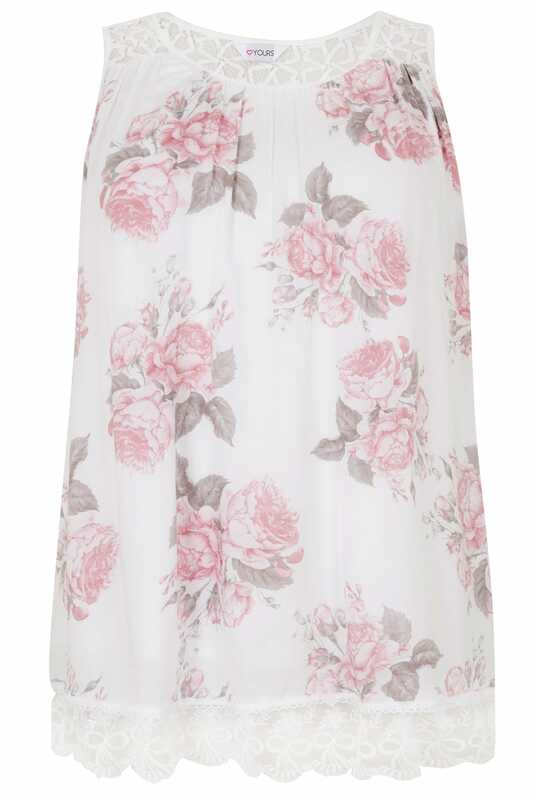 We love the soft florals and lace details in a pink hue.